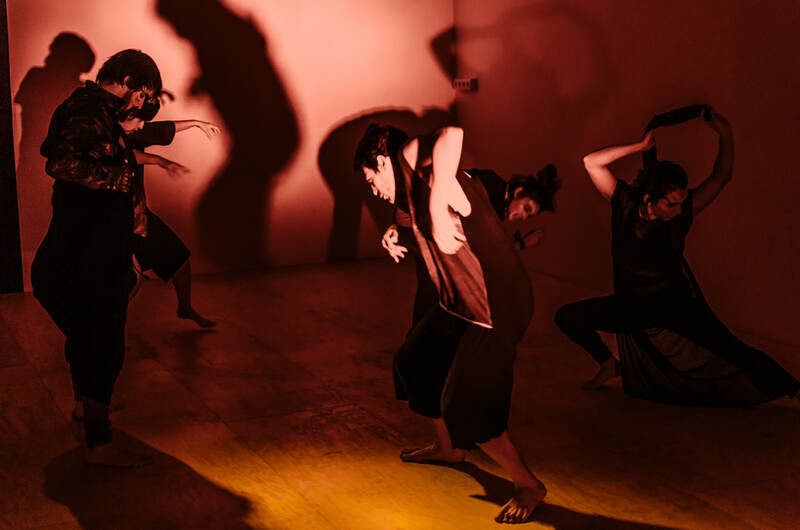 This course investigates Archetypes through body work, using Physical Theatre & Mitoh Dance to find useful elements in the scenic creation of an individual SOLO. As inspiration, mythology, universal literature and the plastic arts are applied. Images from Tarot also codify the Collective Unconscious and are useful to find the classical roots of our personal and transpersonal myth through art. The Butoh Dance was born in Japan as an artistic expression that proposed the revolution of the body in moments of social upheaval after the Second World War. Its founder, Tatsumi Hijikata, investigated through his works, applying multiple styles, the relationship of the human unconsciousness through the body in movement, diving into an exploration of everything that was socially (and artistically) taboo. This way he created a form of total theatre: the butoh dance. In his work there are multiple influences and the importance of the plastic arts is remarkable in his method of choreography. 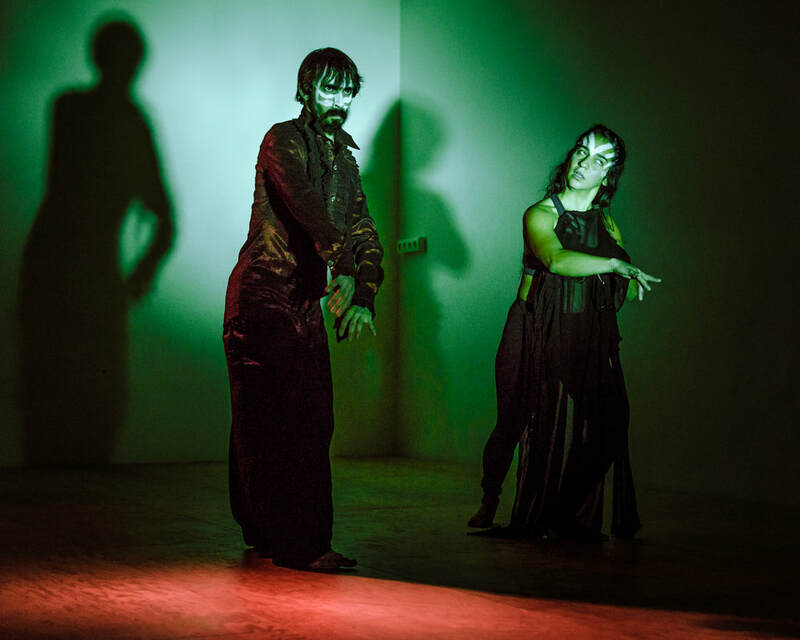 'Mitoh' describes a style in Butoh Dance. In Japanese it means 'step into the unknown', and is the name that teacher Mushimaru Fujiieda gave to Orland Verdú when he saw him dance in ORACLES. Myth means 'story' in Greek; in us there is a story (memory or script) that seeks to emerge through the creative act. As Westerners we have a wide range of cultural and artistic references to investigate our mythical memory (personal and collective). MITOH is a return to the magical dimension of MYTH. The deeper it is rooted in an archetype, the greater the artistic and human depth of a work. Myths and stories are universal and timeless. The images of the Tarot are, according to the psychologist C. G. Jung, images/archetypes of transformation. The Arcana represent, iconographically, the types or characters that theatrical anthropology encode. Thus, the Fool corresponds to the Clown; the Magician to Harlequin, etc. These archetypes represent motives of conflict and psychic transformation. They are present in all dramaturgy. The Tarot is an imaginary and poetical trigger to discover stage elements in theater and dance. Codifying of elements / Sharing. Participants are recommended to develop a wardrobe for their chosen Archetype as their work progresses, if necessary, augmenting with inexpensive materials (susceptible to transformation) as well as objects relevant to the characterisation of their SOLO. The wardrobe with which they begin to investigate their Archetype may change as work progresses. This workshop is open to actors, dancers, performers and the general public. Teaching levels will be adjusted depending on the individuals skill and training.